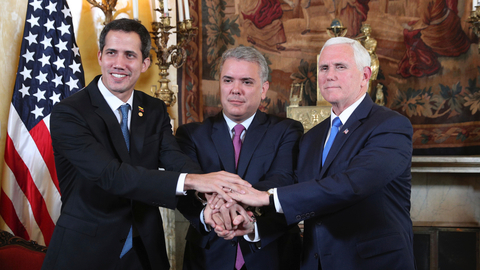 Pence announces new sanctions on Maduro and his allies, Trump departs for talks with North Korea's Kim Jong Un, and Cowboys for Trump ride to Washington to Support the president and border security. 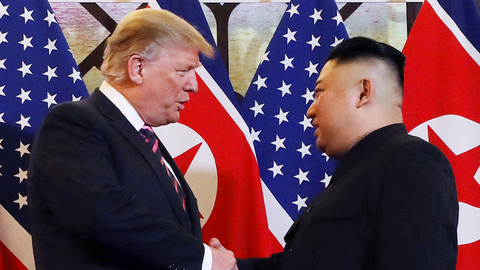 President Trump meets North Korean leader Kim Jong Un in second historic summit, Michael Cohen’s credibility is questioned in Congress, and thousands of people ordered to leave as California river rises. 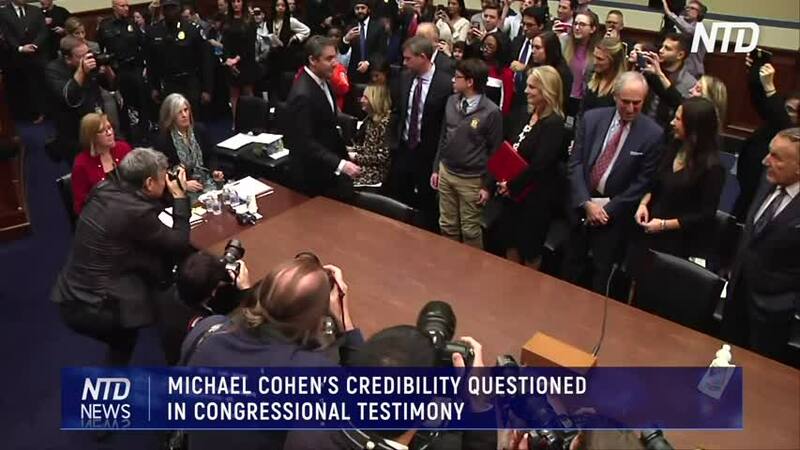 President Trump’s former lawyer testified before the House Oversight Committee on Wednesday—this after being convicted of lying to Congress. Anger from some, who said that him being the chief witness at the hearing made it a waste of time and taxpayer dollars. President Trump arrives in Vietnam to meet North Korean leader Kim Jong Un for the second summit, 30-ft border wall construction underway to replace secondary barrier in San Diego, and Cowboys for Trump invited to White House by the president. 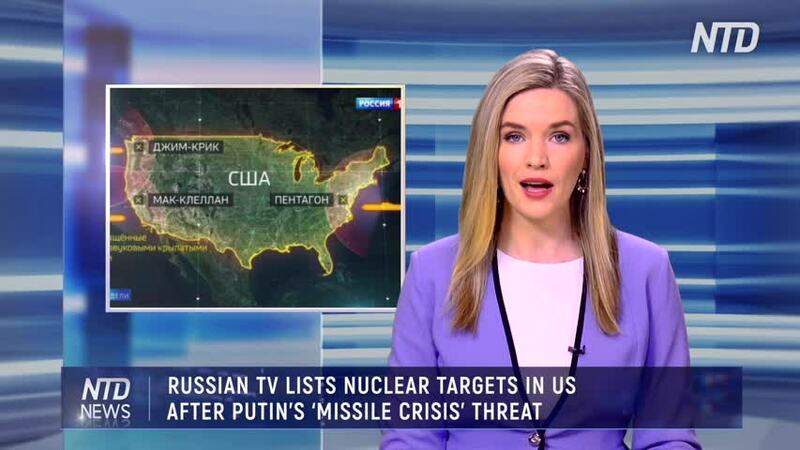 During the broadcast, Dmitry Kiselyov, presenter of TV news show “Vesti Nedeli,” showed a map of the United States and identified targets, including the Pentagon, Fort Ritchie--a military training center closed in 1998, McClellan--an Air Force base closed in 2001, and Jim Creek--a naval communications base. Kiselyov is a main conduit of the state television’s anti-American tone, who once said Moscow could turn the United States into radioactive ash. 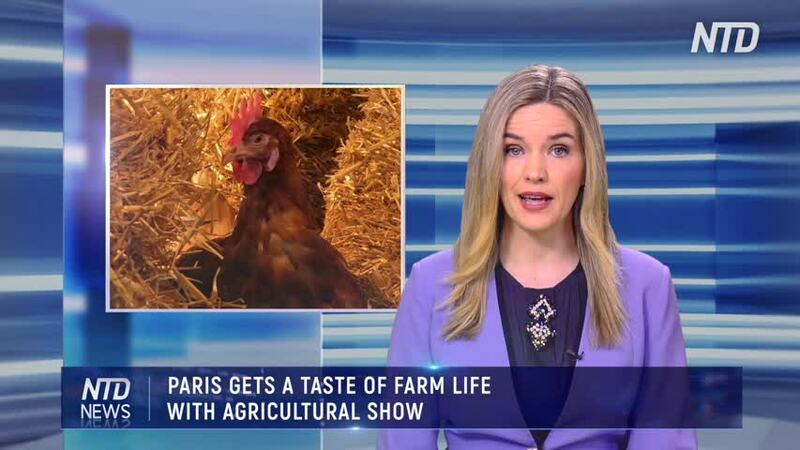 When asked to comment, the Kremlin said it did not interfere in the state TV’s editorial policy. 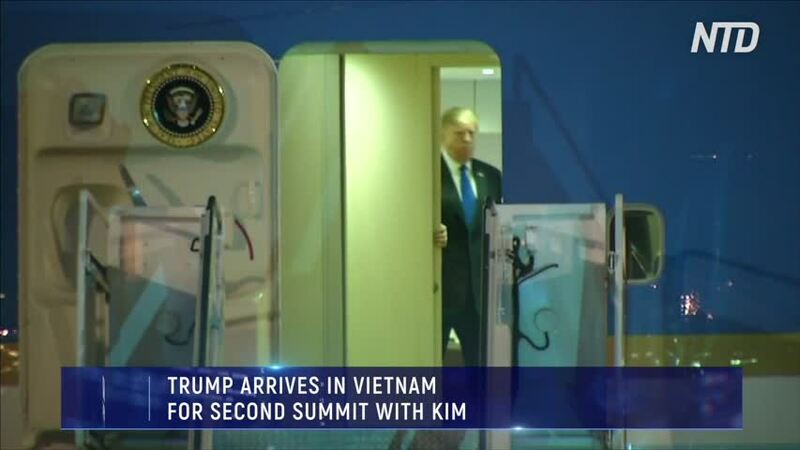 President Donald Trump arrived in Vietnam on Feb. 26 ahead of his second historic summit with North Korean leader Kim Jong Un. 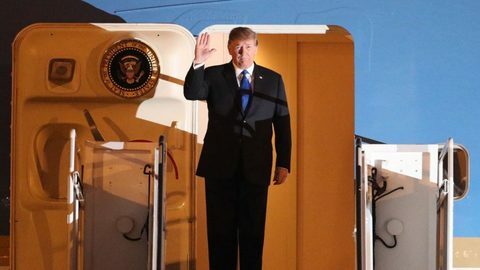 After some 20-hours flight, Trump arrived to a red carpet welcome at 8:55 pm local time at Hanoi’s International Airport. Following the summit in Singapore last year, Trump and Kim will meet for the second time on Feb. 27 and 28 in the capital Hanoi. The United States expects significant movement by the Korean leader in implementing last year's agreement. Ahead of the summit, a White House senior official said that the President’s “overriding goal” with this summit would be the denuclearization of the Korean peninsula. The upcoming summit will also seek to form “a shared understanding of what denuclearization is,” according to the White House. After a two-and-a-half-day journey by train, Kim arrived on Feb. 26 at 8:15 a.m. local time in the Vietnamese town of Dong Dang after crossing over the border from China. He later continued by a Mercedes Benz vehicle for the 105 miles trip to Hanoi. The meeting in Singapore in June 2018 produced a joint statement that was signed by both Trump and Kim. As part of the agreement, Kim pledged to work toward complete denuclearization of the Korean peninsula. 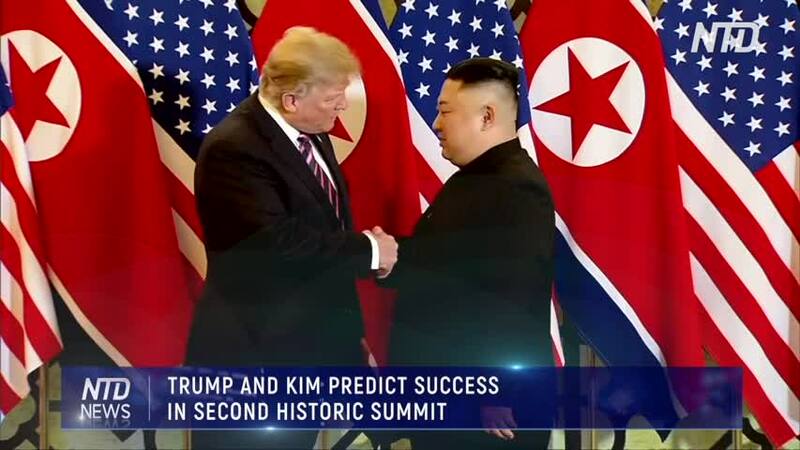 Other pillars of the agreement were: transforming relations between the United States and North Korea, establishing a permanent peace regime on the Korean peninsula, and the return of POW/MIA remains from the Korean War. At the two-day summit, Trump also looks to talk with Kim about the economic future that North Koreans could enjoy if he follows through on his pledges about denuclearization. 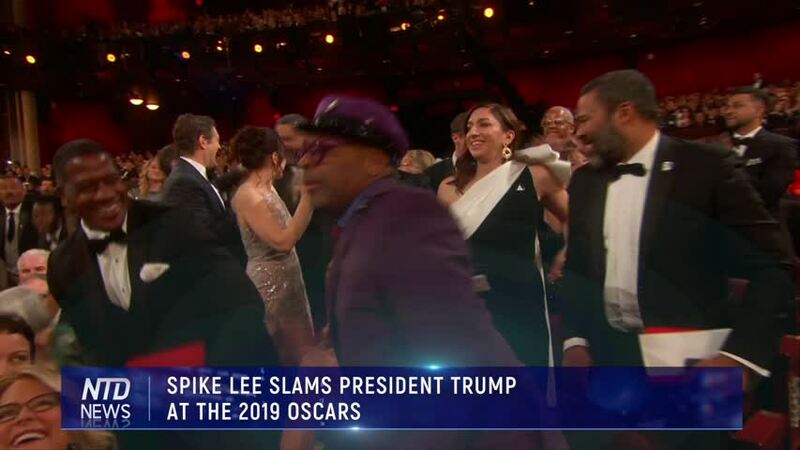 President Donald Trump slammed filmmaker Spike Lee after Lee criticized the president in an Oscar speech on Feb. 24. Trump took to Twitter on Monday morning to share his thoughts. "Be nice if Spike Lee could read his notes, or better yet not have to use notes at all, when doing his racist hit on your President, who has done more for African Americans (Criminal Justice Reform, Lowest Unemployment numbers in History, Tax Cuts, etc.) 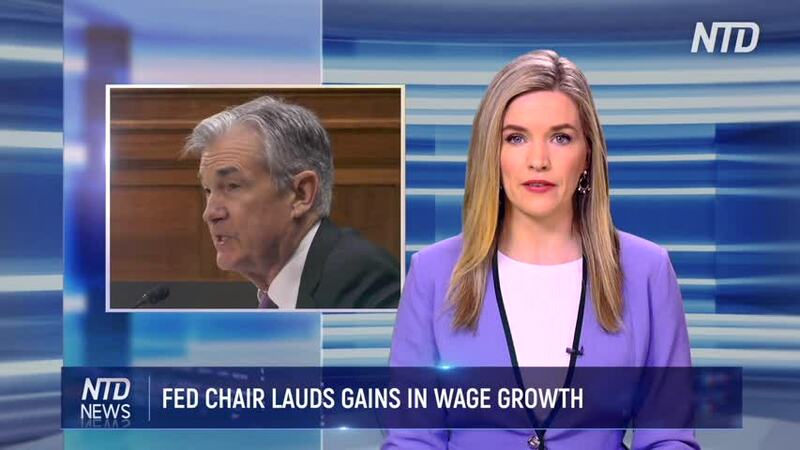 than almost any other Pres!" Trump wrote. 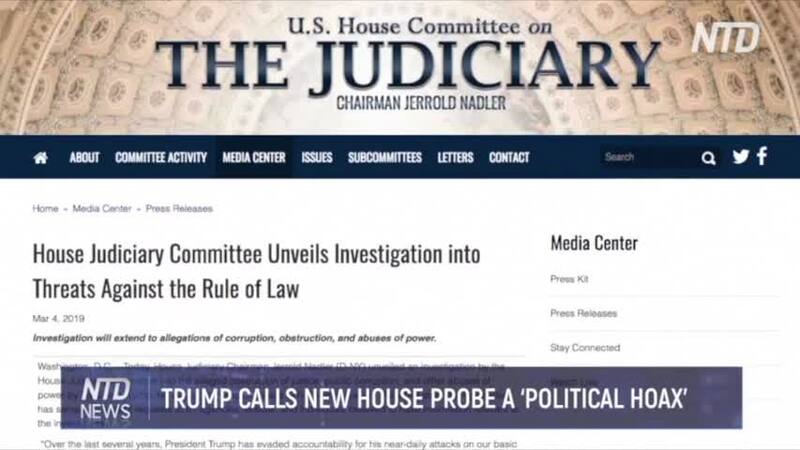 Trump signed the criminal justice reform bill into law in December 2018. The legislation was championed by a number of black leaders, including many people who oppose Trump. The president and his son-in-law Jared Kushner helped push the bill through Congress. Twelve Americans loyal to their country and their president set off on horseback from Cumberland, Maryland on Feb. 15, through the Chesapeake and Ohio Canal along the Potomac River on a ride to Washington. 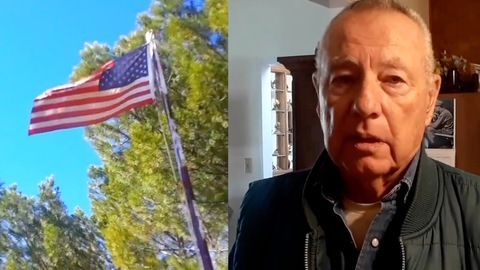 The purpose of the journey was to show their support for the president and his announcement of a declaration of a national emergency to secure funds for border wall construction and address border security in the Southwest. 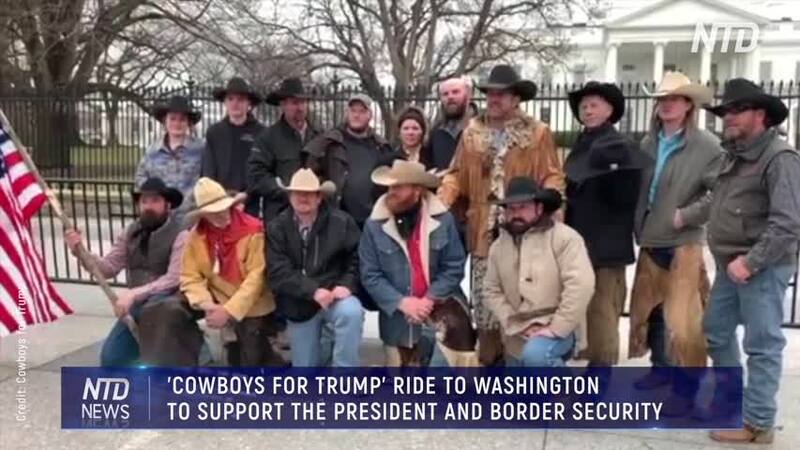 With the help from Kina Davis of Spring Gap Farms, who donated the use of the horses, trucks, and trailers for the ride, cowboys from across the country set off in the snow on the 173-mile ride. "I don't know if you believe in God, and higher powers, but I truly believe the cause of this was bigger than all of us," said Kina. "And if they didn't get these horse from me, they would have somehow been provided for." Kina said she gets hundreds of calls a year to rent horses to ride in the canal, and that she usually says no, because no matter what kind of experiences customers say they have, it might not be accurate. 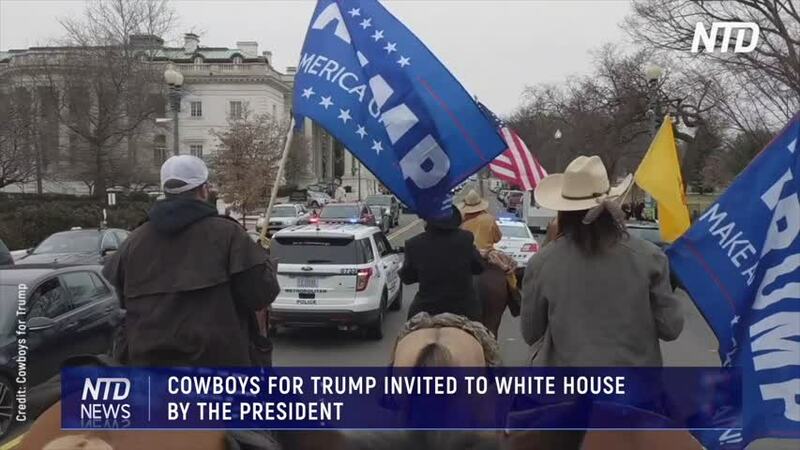 However, there were key points that resonated with her when organizers Couy Griffin and Josh Davis of Cowboys For Trump contacted her by phone. Consequently, even though she was thinking there was no way she was going to give out horses to ride to Washington, and that most people wouldn't even do that with bicycles, those key words changed her mind. "Everyone that has something to protect, or something they love, you put a wall around it, whether it be a house or a fence," said Kina recalling the conversation with the organizers. "We really need this wall." 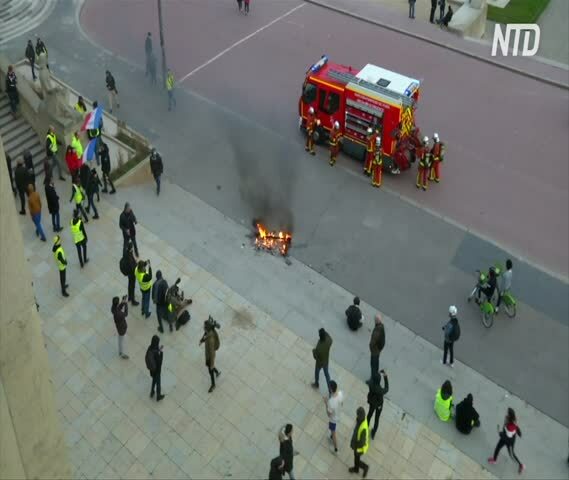 Winter is not yet over, but it was a beautiful spring afternoon in Nantes that welcomed the world famous Shen Yun Performing Arts to the city. Sophie Tanniou, PhD, is a consultant and strategic development manager for the teaching of English to professionals and individuals at ANNAM Services in Nantes. She said the dancers and colors created a sort of harmony in the performance. Bruno Le Floc’h, a permanent deacon, very involved in his parish of Saint-Yves-de-la-Côte-Sauvage (Le Pouliguen), shared his impressions after having discovered traditional Chinese culture and noticed its profound spirituality. 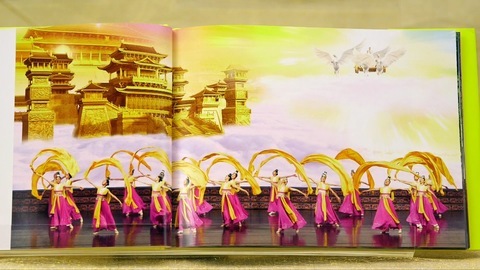 According to its program book, the different scenes of the performance recall the mythological foundations of Chinese civilization, which has always maintained its link with the heavens. “I really like this way of affirming without imposing, but by proposing and disclosing so that more and more people also learn about its cultural background,” he said. “The company conveys a message and means something strong. A message of peace, a message of spiritual life, a message also from the hereafter. A hereafter that is essential and unfortunately missing for many of us,” he said. At Ordway Center for the Performing Arts in St. Paul, Minn., Shen Yun's opening night on Feb. 14, performed to a nearly sold-out audience. With six performances in total from Feb. 14 to 17, an extra performance had to be added to meet popular demand. "It's visually dazzling," said Paul Harstad, Real Estate Developer. "It's a pretty comprehensive performance in terms of the music, and the visual experience." Shen Yun’s live orchestra incorporates ancient Chinese instruments with classical western instruments in a blend where East meets West. "I think it blends it quite well, and it's appealing to the western ear," said Harstad. "A blending of the two cultures and I certainly appreciate that." Soheila Rahimi, a neuroscientist and part-time teacher at the University of Minnesota thought very highly of the performance. "I enjoyed the peace, it was very peaceful," said Rahimi. "The music was so peaceful." "I loved the choreography, it was very alive, I loved it," she said. "Very colorful, very meaningful, and I think every piece of it explained a different aspect of tradition." 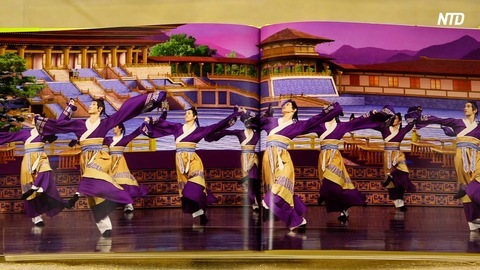 The revival of China’s traditional culture is Shen Yun’s ambitious mission. 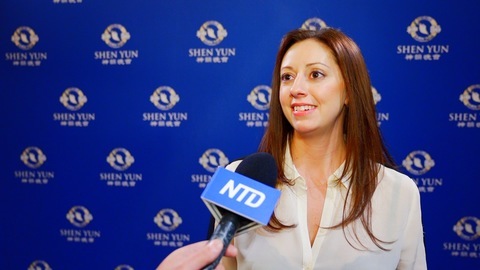 "It covers a lot of different aspects of just China, and I think that was the best way Shen Yun could represent her country," said Rahimi. "I like that. Very festive and interesting." "If you get to know about different culture," she said. "We get to be nicer people, closer together and bring more peace all together." Now in the UK. 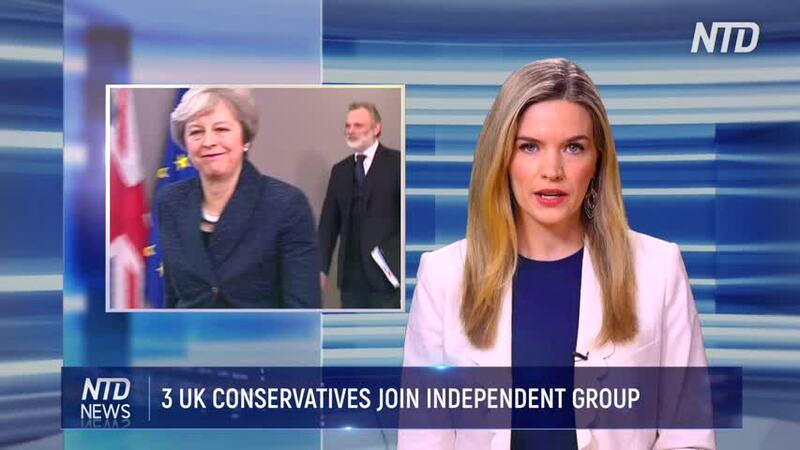 After eight MPs quit the Labour Party this week, three Conservative MPs have also resigned from their party to join an independent group. The trio quit over the government's "disastrous handling of Brexit." 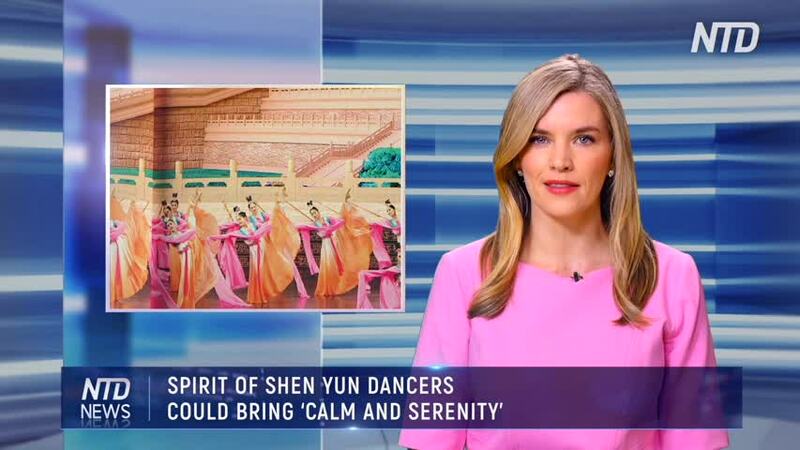 Known for its majestic Grand Canyon, Arizona welcomed Shen Yun’s New York Company with a full house on opening night in Phoenix. 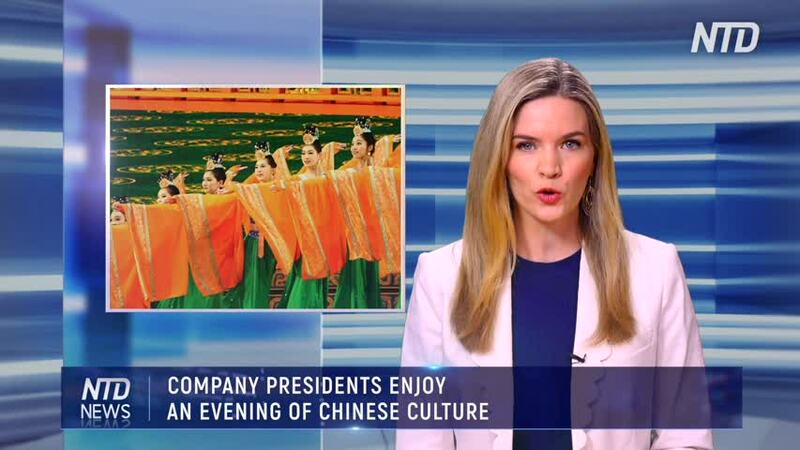 Clifton Moschnik, a senior vice president at Wells Fargo, said it was his first time seeing a Shen Yun performance. He was excited to see a familiar Chinese classic. "The Journey of the West and some of history, that was absolutely, just a beautiful performance, and actually, one of the key cultures that, you know, if you go back and read about China, that is one of the key stories and timelines," said Moschnik. He attended the performance with his fiance, Stacy Fornara, retired co-founder of Bible.com. "It is amazing. The details and the way that the performance is laid out is amazing. 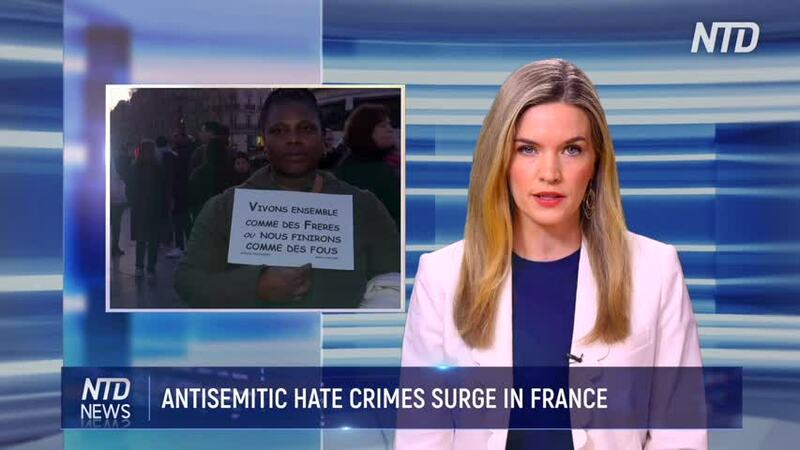 It's very true to life," said Fornara. "I've learned that a lot of what is presented is not a lot of what we see in the American history. So this is a nice view from the Chinese perspective of what has really gone on in the past 5,000 years." Lance Renfrow, president of Clear Solutions USA LLC, was a professional water skier. In 2012, he was the recipient of an Award of Distinction at the Water Ski Hall of Fame. As an athlete who competed for many years, he saw the dancers as very good athletes. This is is second year seeing Shen Yun. "The best I’ve ever seen, I’ve seen a lot of shows, a lot of shows, this was very good. I would come back," said Renfrow. "We used to perform on water much like they do there but I think the big thing again were special effects that really were out of this world." "The moon was absolutely amazing," said Moschnik. "That was the best performance by far. It was so incredible. And it's so, you know, just like a dream. It was so beautiful. And when they got to the moon, it looked beautiful. I loved it. After the Dark Ages, new light was given to Europe, and though many Renaissance artists are now household names, there were some, such as Giovanni Battista Moroni, who did not play a major role then but have now given New York City a window into the traditional and sacred arts. 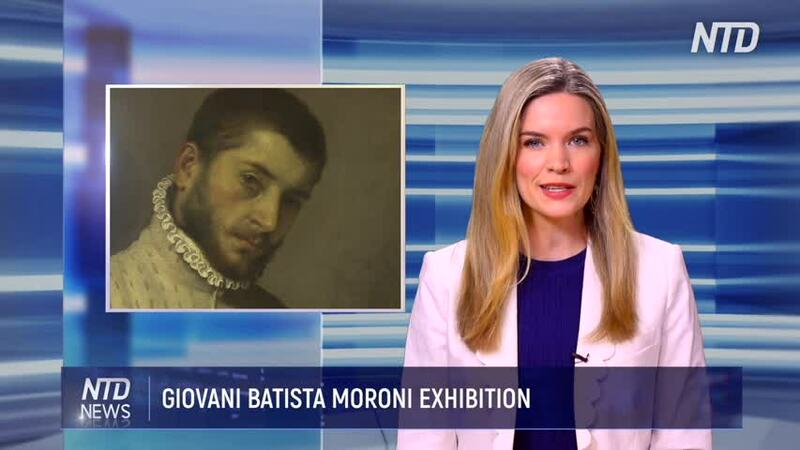 Moroni's paintings now cover the walls of The Frick Collection: an art collection settled in what used to be the home of Henry Clay Frick—one of America's most successful industrialists and art connoisseurs, according to the collection's about page. The new exhibition, Moroni: The Riches of Renaissance Portraiture, presents the works of a Renaissance painter that have preserved their grandeur and nobility through a traditional technique. A woman who ran away from her London home to join the ISIS terror group and recently asked to be allowed back into the United Kingdom has been stripped of her citizenship. 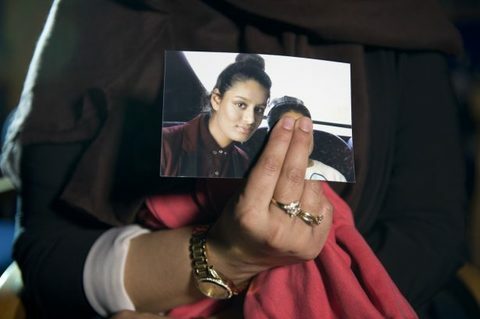 Shamima Begum ran away from home in 2015 at the age of 15. She gave birth to a baby boy in a refugee camp in Syria, where a number of women are living after American and other forces decimated the Islamist terror group's presence in the region. 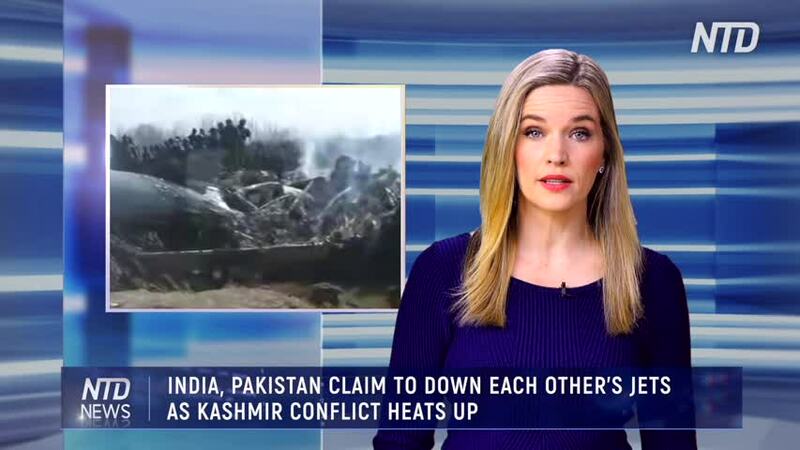 Begum claimed in a recent interview that people should sympathize with her plight and said her family should work on getting authorities to let her back into the United Kingdom. Describing herself as "just a housewife," she said she would not pose a security threat. She also said she was okay with beheadings and that she didn't regret joining the radical Islamic group and marrying an ISIS terrorist. 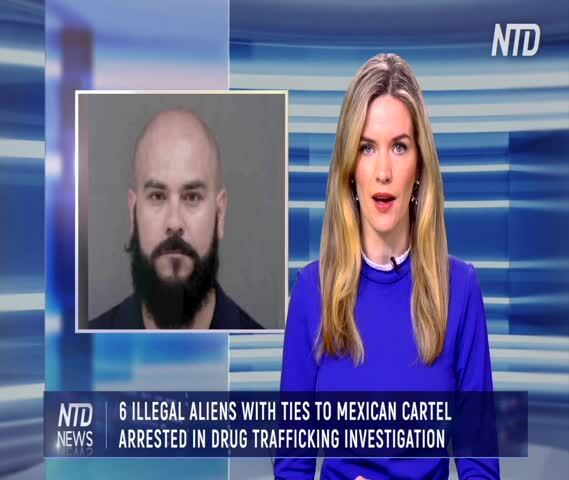 Six illegal aliens with ties to a Mexican drug cartel have been arrested in a massive drug trafficking investigation. The suspects have been identified as Oscar Rangel-Gutierrez, Francisco Garcia-Martinez, Rodolfo Martinez, Raul Rangel-Gutierrez, Regulo Rangel-Gutierrez, and Rigoberto Rangel-Gutierrez, according to court documents. 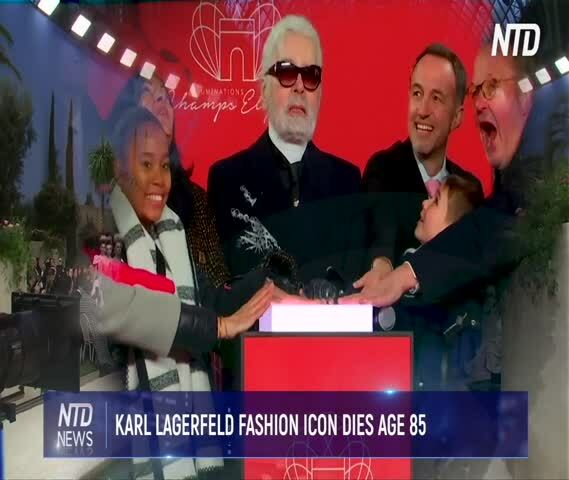 Karl Lagerfeld, the fashion designer for Chanel and Fendi, died in Paris at the age of 85 after battling pancreatic cancer. Lagerfeld, who is known for his dark sunglasses and ponytail, died Feb. 19 after he was rushed to the hospital, according to reports. Italian designer Donatella Versace and others issued tributes following his death. 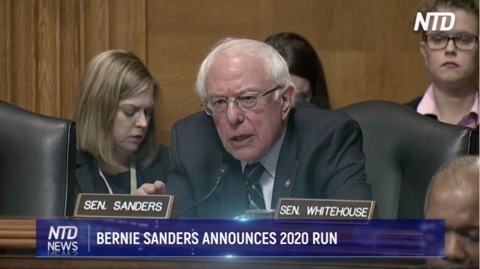 Vermont Senator Bernie Sanders made his long-anticipated announcement Tuesday morning. 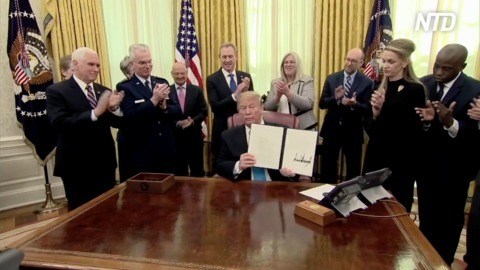 President Donald Trump took a step on Feb. 19, needed for lawmakers to begin the lengthy process of creating a U.S. Space Force, a new branch of the military dedicated to handling threats in space.Trump signed Space Policy Directive 4, which puts in place the foundation for a legislative initiative that could establish a Space Force as a new military service comparable to the U.S. Marines. 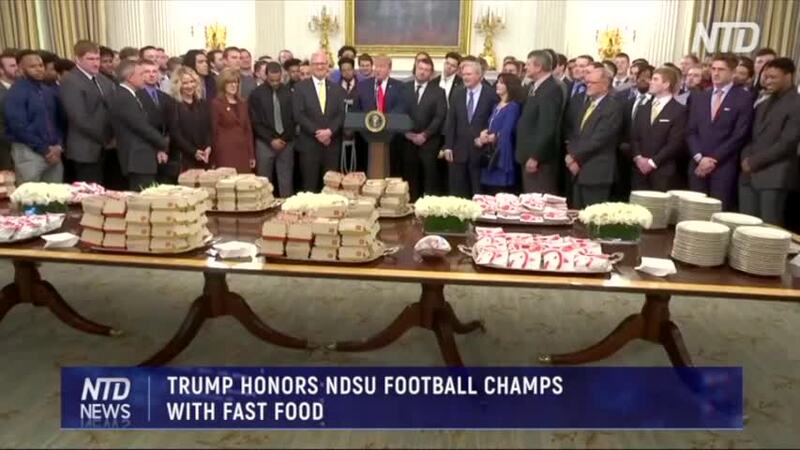 In an oval office signing ceremony, Trump said the Space Force is a national security priority. 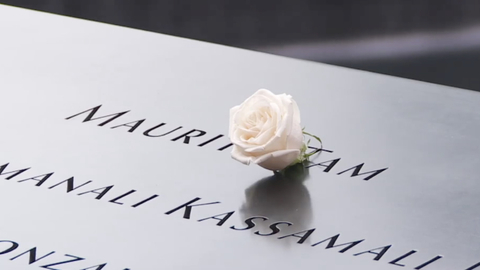 The compensation fund for victims of 9/11 is running out of money and will cut future payments by 50 to 70 percent, officials announced on Feb. 15. September 11th Victim Compensation Fund special master Rupa Bhattacharyya said she was “painfully aware of the inequity of the situation” but stressed that awarding some funds for every valid claim would be preferable to sending some legitimate claimants away empty-handed. “I could not abide a plan that would at the end of the day leave some claimants uncompensated,” Bhattacharyya said. Shen Yun Performing Arts visited Lied Center of Kansas, in Lawrence, Kansas, on Feb. 12. Audience members were thoroughly entertained and left with a good impression of the magic of Shen Yun. "It was like magic," said Ann Hedrick, Artist. "With what looked like clouds below, and all the dancers coming up from the clouds in their beautiful costumes." Hedrick felt there were messages of hope conveyed through the performance and asserted her understanding that "we all need to work together in unity to create the goodness that we want." "It was unbelievable," said Hedrick. "I really enjoyed the energy and the beauty and the unison of everything that was done. It was really uplifting." The colors of the traditional clothing worn by the dancers and the connection they had with the background scenery made a vivid impression on Hedrick. "They were magnificent, and I was even drawn to the background photographs, and the waterfalls and the beauty of all of that, that just seemed to make it all so magical," she said. Jane Asbury, emeritus professor of painting was impressed with the traditional culture and expressed the wish to see even more in the future. "It seemed to me that they were very much in keeping with the traditional training, and they were just expert," said Asbury. "The spiritual deities coming down to help the living, and I thought that was just charming the way it was done," she said. The themes expressed through music and dance were perceived as largely positive and full of hope. "I think the messages were by and large actually very positive ones," said Asbury. "That when there are trials and tribulations, that things will come out ok in the end. If it isn’t by human doing it, it will also be by doing with the supernatural beings." The colorful visuals, vibrant coordination of the dancers, and the fusion of ancient Chinese and classical western instruments in the live orchestra combined for a powerful effect. 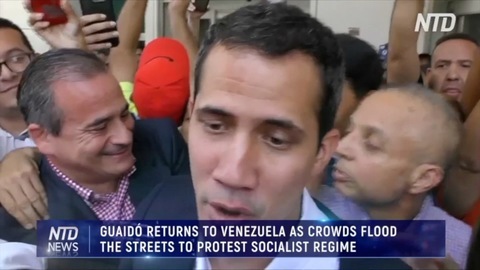 "What stuck out is how expressive a lot of the movements, you really didn’t even need to know the story to really feel what was going on, through the motion," said Asbury. "I loved the use of fabric, as part of the dancing," she said. "And the swirls of the scarves and the skirts and the traditional costumes, as it was used as part of the movement was just fantastic." "The visuals were fantastic," said Diane Childs, music educator. "All the costumes were beautiful the orchestra was good, my husband’s a former band teacher so we always enjoy [the music], and it was live, that was great." Diane's husband John Childs, a former band teacher, also wholly enjoyed the music in the fusion of east and west. "I really enjoyed it," said John. "The mixture of the Chinese instruments and the standard instruments, it was great. I enjoyed it thoroughly." "I hope everybody would come see this if they had an opportunity," he said. "I enjoyed hearing that, as a music major," said Diane. "It was educational." Held in high esteem, the experience of witnessing Shen Yun‘s revival of China’s 5,000 years of traditional culture came highly recommended. 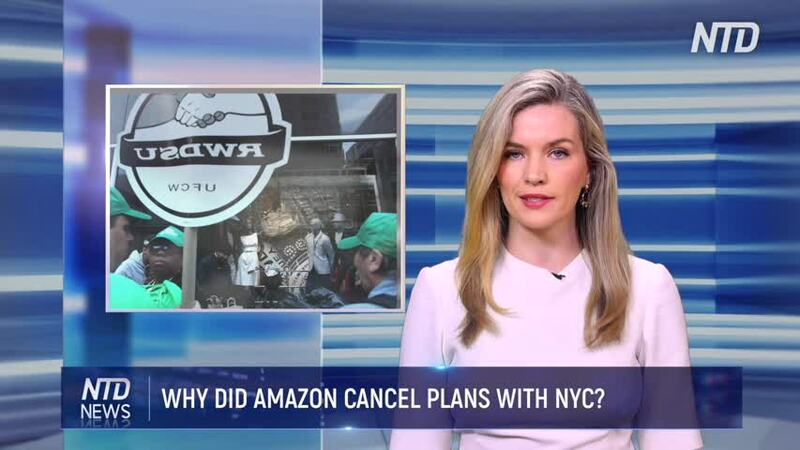 WHY DID AMAZON CANCEL PLANS WITH NYC? 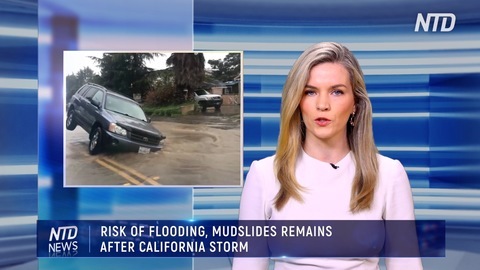 SAUSALITO, California—Authorities warn that mudslides are still possible on Friday, Feb. 15, even after a damaging storm moved through California, trapping people in floodwaters, triggering a debris flow that destroyed homes, and forcing residents to flee communities scorched by wildfires last year. The powerful system swept in from the Pacific Ocean and unleashed rain, snow and wind across the U.S. West into Wyoming and Colorado after walloping Northern California and southern Oregon earlier. CNN's Chief White House Correspondent was confronted by a group of "angel moms"—women whose children have been killed by illegal immigrants—after a press conference in the Rose Garden where President Donald Trump declared a national emergency to fund the physical barrier along the U.S.–Mexico border. Before taking questions from reporters, Trump made his announcement to address the humanitarian crisis on the southwest border. The emergency declaration, combined with a spending bill passed by Congress on Feb. 14, will provide his administration with $8 billion for wall construction. Trump referred Acosta to the group of angel moms after the reporter questioned if he had manufactured the crisis along the border. 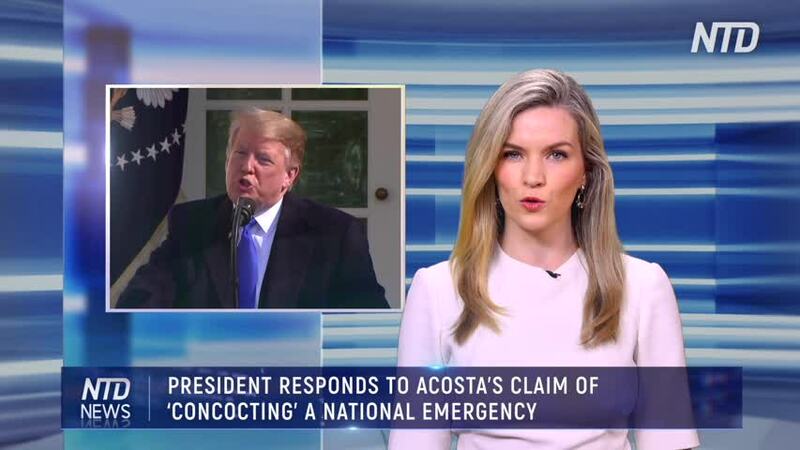 "What do you say to your critics who say that you are creating a national emergency, that you're concocting a national emergency here in order to get your wall?" Acosta asked Trump during the Feb. 15 press conference. "I'll ask the angel moms," Trump responded. "What do you think, do you think I'm creating something? Ask these incredible women who lost their daughters and their sons." Trump said Acosta's line of questioning contained an "agenda" behind it. Prime Minister Theresa May suffered a defeat on her Brexit strategy on Feb. 14, that undermined her pledge to European Union leaders to get her divorce deal approved if they grant her concessions. 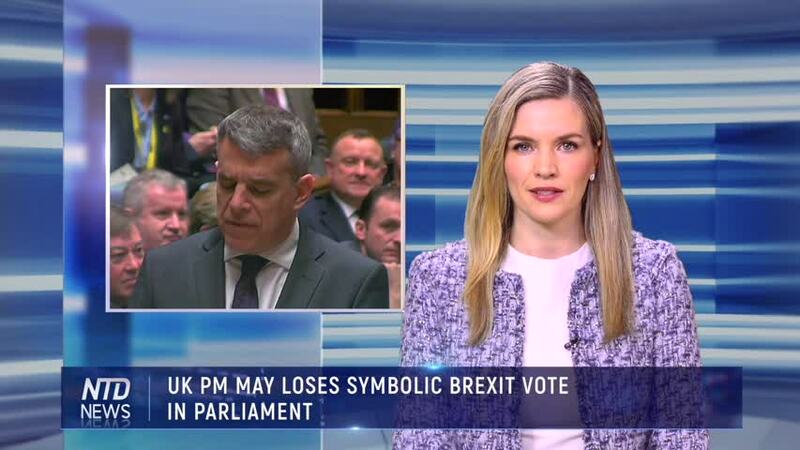 The crunch vote is now expected to come on Feb. 27, when May is due to return to parliament—and lawmakers who fear leaving without a deal could try to seize control of Britain's departure from the EU. 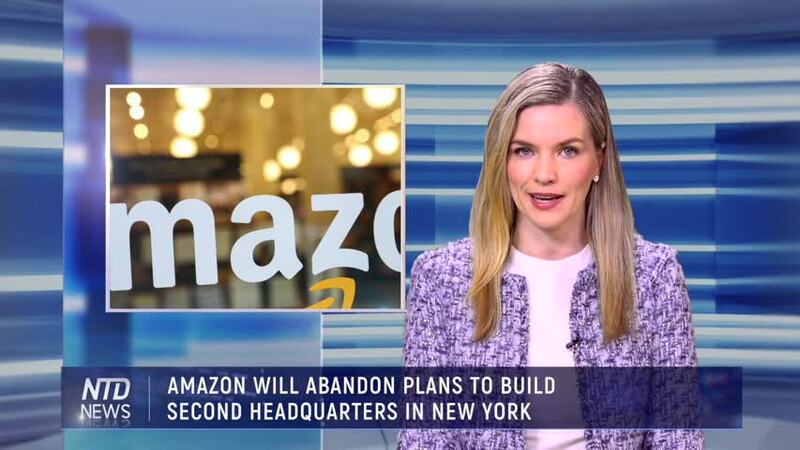 Amazon said on Feb. 14 that it will not move forward with plans to build a headquarters in New York after rising opposition from local politicians.